What's your Moto-vation? Convenience? Comfort? Mobility? Prepare to be moved. Moto mobile, stackable seating is the ideal solution for guest seating, conference rooms or anywhere additional seating is needed. Mobile chairs allow for quick configuration of seating. Plus there's no need for a chair cart! Simply stack them and roll them into another room. 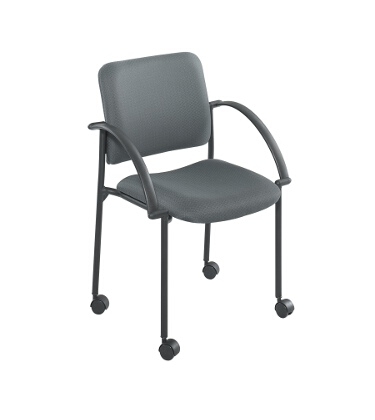 Fully upholstered back and seat are thickly cushioned for superb comfort. Fully assembled except casters. Stacks four high. Moto Stack Chair: to-go!